Ever wonder where are some of the best spots to stay when you visit Mexico Beach? Our latest “The Local Lifestyle” video features all the best options for spending an unforgettable vacation on our pristine white shores! 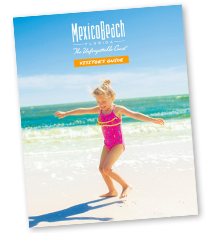 Consider Mexico Beach for your next Gulf of Mexico getaway! Visit our Places to Stay page to find contact information for all the best accommodations.